Watermelon is one of the most powerful, body-healing fruit, boost energy levels when eaten. The amazing health benefits of watermelon cover everything from your brain all the way to the cells in your feet. Watermelon is incredibly hydrating (up to 92% water!) and is naturally low-fat. Make this melon a part of your daily diet and you will reap amazing benefits that range from improving cardiovascular health to nourishing your eyes and revving up your immune system. This juicy fruit that we so lovingly devour in summers is replete with nutrients, as it is rich in potassium and vitamins A, C, and B, keep u active in hot climate, the watermelon fruit has lycopene, the antioxidant that renders the fruit its deep red color. Helps Treat Diabetes, Although watermelon has a high glycemic index, it has a lower glycemic load (the value by which a particular food will raise an individual’s blood glucose levels), and hence is good for diabetics. It has anti-diabetic properties and effects of watermelon pomace juice increases the mass of brown adipose tissue and reduces excess white fat mass, which eventually helps treat diabetes. 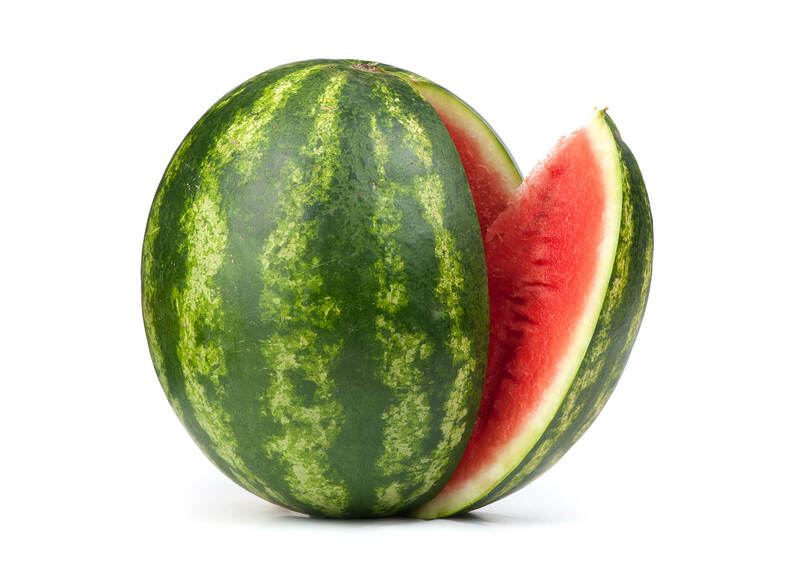 Good For Pregnant Women, Watermelon eases heartburn, a common condition during pregnancy. It also helps alleviate morning sickness. The minerals in the fruit can help to prevent third-trimester muscle cramps. Watermelon can be good for pregnant women in other ways as well. Keeps You Hydrated, As the name of the fruit implies, watermelon is ninety percent water, making it one of the best sources of hydration, It is far better than alcohol or caffeine in terms of being a diuretic. As it is a natural source, it increases urination without stressing the kidneys. Watermelon will provide you with an ample amount of hydration while also adding a sweet taste and delicious texture. Watermelon and Kidney Disorders, There is more to watermelon than just water.In fact, watermelons actually have a very abundant supply of both calcium and potassium, each of which contributes to helping flush out the toxins in the body’s kidneys. Extra calcium also aids in reducing the concentration of uric acid in the blood. Too much uric acid can cause hyperuricemia, which will make you very sick. By decreasing any extra amounts of this acid, the calcium and potassium in watermelon help to reduce the chances of kidney diseases. Watermelon’s high water content induces frequent urination, which is always helpful in cleansing the kidneys and keeping them functioning properly, flushing all toxins stuck in kidney. Lowers Blood Pressure, Hypertension, or high blood pressure, is the most common condition seen in primary care and commonly leads to heart attacks, strokes, and other fatal diseases if untreated. 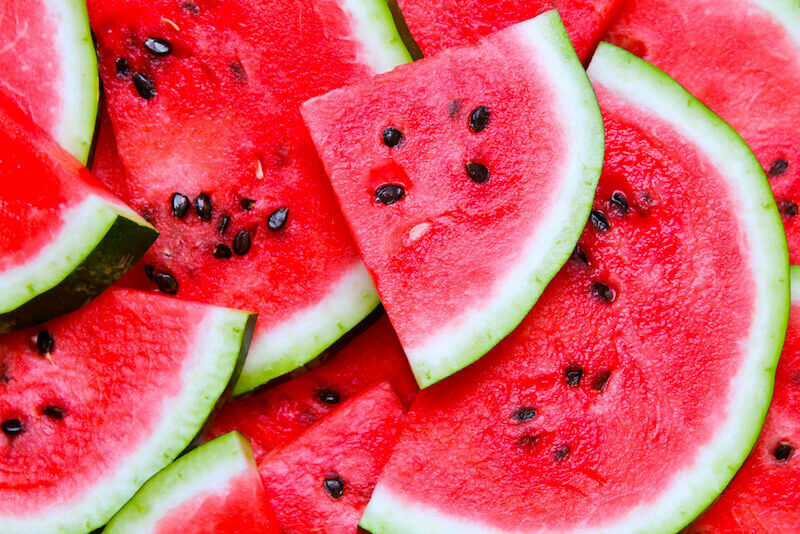 Watermelon is rich in citrulline, which is an amino acid that is converted to arginine in the body. In turn, both citrulline and arginine help in the production of nitric oxide, which is a vasodilator, meaning that it helps relax and dilate your blood vessels. When the vessels are dilated, more blood can pass freely through, leading to lower blood pressure and less a risk of stroke and cardiac infarctions Even better, the carotenoids present in watermelon help prevent the hardening of arteries and veins, thereby also helping reduce the risk of blood clots and atherosclerosis. Immune Support, Wound Healing & Prevents Cell Damage, The vitamin C content in watermelon is astoundingly high. Vitamin C is great at improving our immune system by maintaining the redox integrity of cells and thereby protecting them from reactive oxygen species (which damages our cells and DNA). The role of vitamin C in healing wounds has also been observed in numerous studies because it is essential to the formation of new connective tissue. The enzymes involved in forming collagen (the main component of wound healing) cannot function without vitamin C. If you are suffering from any slow-healing wounds, up your intake of vitamin C best fruit. Muscle & Nerve Support, Rich in potassium, watermelon is a great natural electrolyte and thus helps regulate the action of nerves and muscles in our body. Potassium determines the degree and frequency with which our muscles contract, and controls the excitation of nerves in our body. Improves Eye Health, Watermelon is a wonderful source of beta-carotene (that rich red huge of watermelon, beta carotene) which is converted in the body to vitamin A. It helps produce the pigments in the retina of the eye and protects against age-related macular degeneration as well as prevents night blindness. Vitamin A also maintains healthy skin, teeth, skeletal and soft tissue, and mucus membranes. Watermelon and Digestion, One of the most common gastrointestinal problems is constipation, which is characterized by a slow gastrointestinal transit, a hard stool, and difficulty in passing stool. A number of factors can cause constipation, including medication, lack of fiber intake, poor diet, and illness, but the number one cause is usually inadequate fluid consumption. Drinking plenty of water every day can eliminate this unfortunate and uncomfortable problem. Fluids in the diet are usually absorbed by the proximal small intestine, but when not enough fluids can be absorbed, such problems as constipation and other gastrointestinal issues can occur. As watermelon has both a rich water and fiber content, this juicy fruit easily helps promote regularity for a healthy digestive tract, we emphasize that there is more to watermelon than just water, the water content of this fruit is nonetheless important. Instead of simply drinking the recommended nine to thirteen glasses of water per day, you can treat yourself to a healthy snack of sliced watermelon while also promoting your digestive health. Prevents Infection, The high quantity of beta-carotene in watermelon helps you to get rid of problems, like viral infections and vision defects. Low Calorie Food, Being a low calorie and scrumptious fruit, watermelon is beneficial for those people, who want to lose their weight. It satisfies you and controls your hunger for a long time. Improves Male Fertility,Watermelon has been found helpful in increasing the sperm count and improving the sperm structure. It is also a natural aphrodisiac. Prevents Pre-mature Ageing, Watermelon is a wealthy source of vitamin A, C, and lycopene. All these nutrients are helpful in safeguarding the body from the attack of free radicals that are responsible for the origination of wrinkles, fine lines and blemishes on the skin. The richness of antioxidants prevents the risk of pre-mature ageing. The combination of the given compounds is uniformly cooperative in preventing all kinds of cancers, as well. Strengthens Immunity, Watermelon, being rich in vitamin C, strengthens the body’s immune system. The fruit also contains vitamin B6 that helps the immune system produce antibodies. The vitamin also aids in the formation of red blood cells. The fruit has vitamin A that regulates the immune system and protects it from infections. Prevents Asthma, Being one of the key antioxidants, lycopene helps with the body’s reaction to cold and flu, and more interesting is this antioxidant has been found to reduce asthma flare-ups in children. Watermelon also allows people who have asthma to breathe properly, without them having to take each breath in panic. A reaserach showed that lycopene might have a therapeutic effect on the disease. As per a report, adequate intake of lycopene and vitamin A could be beneficial for asthmatic patients. Helps Combat Cancer, Lycopene gets the credit, again. According to a study, lycopene in watermelons has been found to reduce the extent of cancer insurgence. Lycopene is the pigment that renders watermelons their characteristic red color, and since it is a powerful antioxidant, it prevents the onset of certain cancers. A two cup serving of watermelon contains about 20 milligrams of lycopene, which battles free radicals and protects against numerous types of cancer. According to a case study, lycopene exhibits chemopreventive properties, especially in prostate cancer cells. Lycopene has also been found useful in the treatment of HPV (human papillomavirus) infection, which might otherwise lead to uterine cancer. As many different types of watermelon are available, you can also buy it in different ways. Many supermarkets offer precut watermelon that has already been sliced in half or cut into quarters. Be sure to choose fruit with the deepest color of flesh and without any white streaking. If the seeds are visible, make sure they are also deep in color or white. On the other hand, when purchasing a full watermelon, you can’t really tell what color the flesh or seeds are, so one way to determine if it is ripe and juicy is if it feels heavy for its size. Heavy watermelon means more water, which means the fruit is riper. Additionally, knocking on the watermelon can also tell you whether or not the watermelon is satisfactory. A fully ripened watermelon should have a deep, hollow sound when you knock on it rather than a solid, shallow sound. Uncut watermelon should be stored in temperatures near 50°F–60°F, which is normally much colder than a normal room temperature in your house. Keeping the watermelon cold reduces the risk of decay, especially if you are planning to wait several days before slicing it open. As for sliced watermelon, keep it covered at all times. It should also be kept in cool temperatures, such as your refrigerator. Storing cubes of watermelon in a Tupperware container and letting them cool in the refrigerator for about a day allows the fruit to ripen and sweeten. Eat Watermelon in hot climate and stay healthy and happy.